Hirose U.FL connector and antenna required for Wi-Fi in some models of Pi Zero, ESP32. U.FL/IPX connector commonly used on PCB of everyday electronics. U.FL/IPX to SMA adapters sold in the market. Often, the name of the unit not known to many of the makers. Finding with “u.fl to sma adapter” on Google search should display some of the products. However, there is precaution. U.FL connectors are not designed with reconnection in mind, so they will get damaged after 30 cycles or so. Plugging and unplugging around 60 times will practically make them distorted. 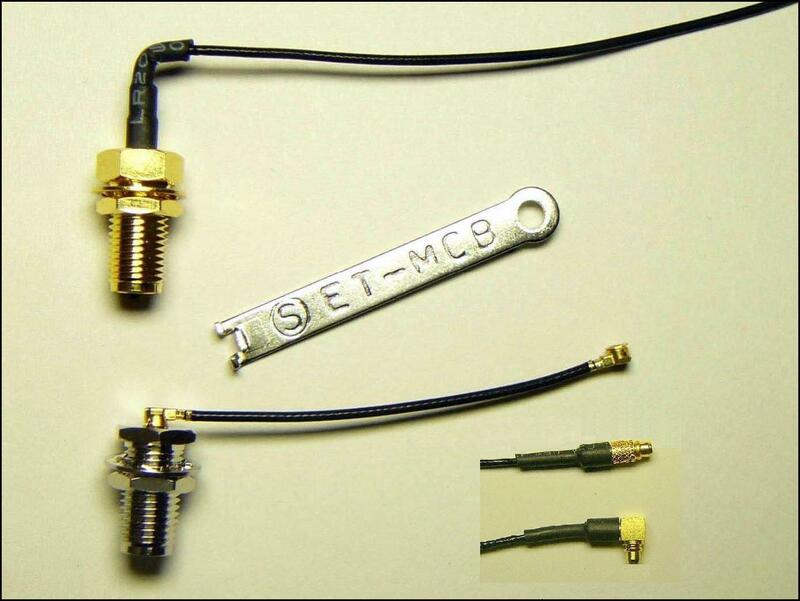 The female U.FL connectors are usually are not sold separately. The required cable is 1.32 mm double shielded cable for a low-loss connection. 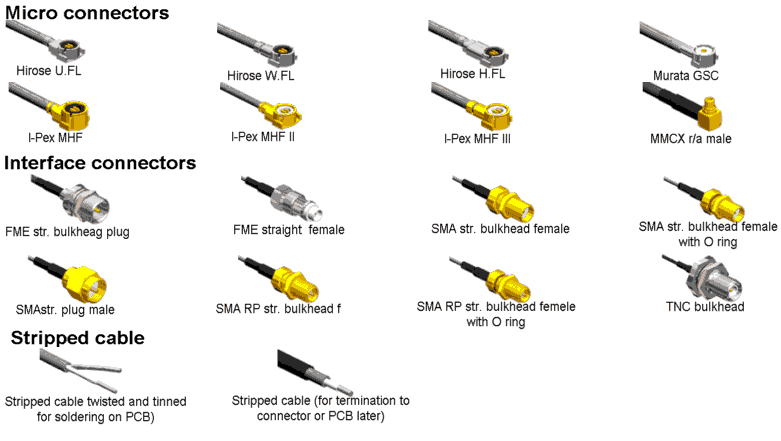 Commonly RG178 cable used (read about coaxial cable for understanding how they work). Compatible third party connectors are generally sold in the market but quality of cables, metals of SMA component is questionable. Radome material, frequency(Hz) range, gain, Voltage Standing Wave Ratio (VSWR) are important parameters to check while buying. Also, the manufacturer should have note for indoor or outdoor usage. For critical projects such for designing a dev board, it is suggested to take professional help of engineer. This Article Has Been Shared 1562 Times! Cite this article as: Abhishek Ghosh, "Hirose U.FL Connector and Antenna for Wi-Fi (Pi Zero, ESP32)," in The Customize Windows, March 23, 2019, April 18, 2019, https://thecustomizewindows.com/2019/03/hirose-u-fl-connector-and-antenna-for-wi-fi-pi-zero-esp32/.